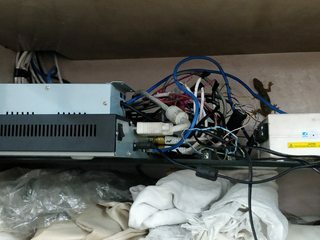 Please assist me in the Cable Management of DVR. Please have a look at the pic below and suggest accordingly. Bunch the cables from the source. I mean, have all the cctv cables bundled separately. Then bunch up the smaller cables. Also, use velcro straps if possible. May I know, where can I find cheap Velcro straps in Amritsar?